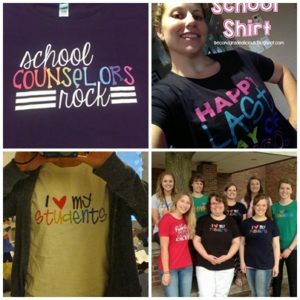 Here’s how to customize your new teacher tshirt so you can personalize them with names and more. 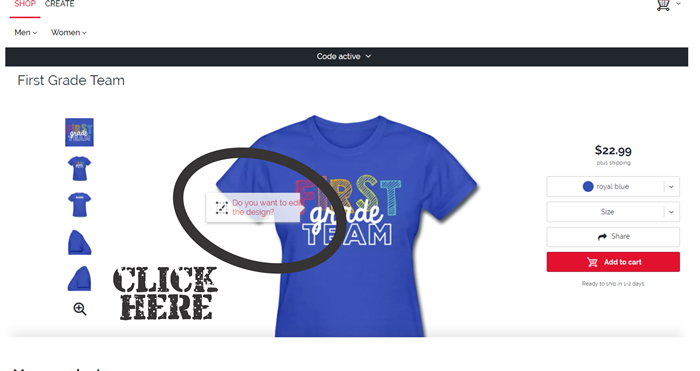 To edit a shirt that already has names on the back, open the product. 2. Click on the “Back” thumbnail view to see the back of the product. 3. Click on the “NAME.” It will appear with dotted lines around it. Click in the text box to change the text to your desired text. 4. 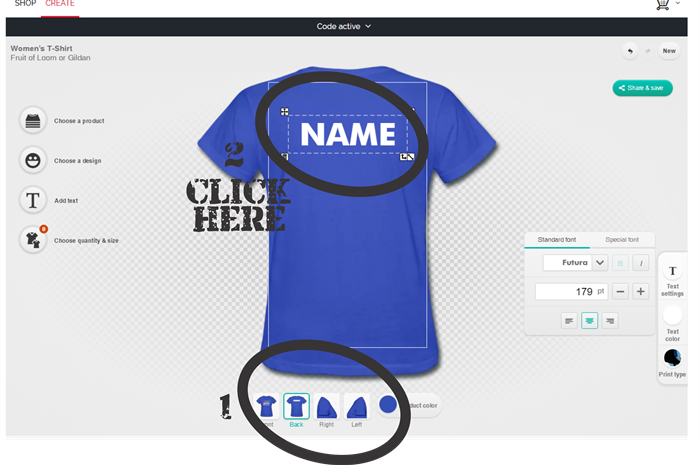 Use the arrows in the bottom left corner of the text box to a) resize the name box and enlarge/shrink font and b) lengthen/shorten the name box. 5. Use the “Text settings” and “Text color” options in the lower right hand corner to change your font, color and print type.